Cisco survey shows workers are ready for AI-enabled meetings. In the "Iron Man" series, business tycoon Tony Stark had a virtual assistant named JARVIS (acronym of Just A Rather Very Intelligent System). JARVIS would notify Tony of appointments with Pepper Potts, pull up schematics of a super-secret weapon Stark Industries is working on, or remind him of things he may have forgotten, like Pepper's birthday. The effectiveness of JARVIS in keeping Tony on track makes one wonder if people today would be ready for a JARVIS-like virtual assistant in the workplace. 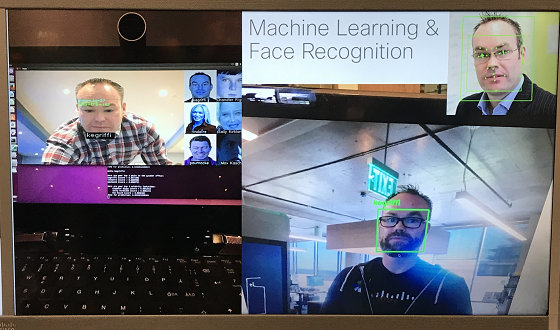 Cisco earlier this week held an "AI Meets Collaboration" Advanced Technology Fair for press and analysts, providing a glimpse at how it is injecting artificial intelligence into the collaboration solutions organizations use to get work done (see "Cisco Gives Glimpse of Collaboration Future"). At the event, Cisco also released the results of a survey that looked at people's attitudes toward virtual assistants and machine learning integrated into meetings. Cisco surveyed 2,270 white-collar workers in the U.S., U.K., Canada, France, Germany, Brazil, Mexico, Australia, India, and China, and found people's attitudes toward a virtual assistant are surprisingly optimistic. One of the more interesting data points is that 94% of workers said they dread meetings (no kidding), yet 45% of people responsible for innovation say they spend over half of their day in meetings. The fact is that most people hate going to meetings but are forced to, so anything to improve them should be positively received. The survey data certainly shows there is an appetite for AI as part of meetings. A whopping 95% of respondents believe that AI can improve common work tasks like scheduling meetings or taking notes. To me, this sizable percentage seems to indicate that most people have a general understanding of how AI brings value for mundane tasks like this, but also demonstrates hopefulness around AI's promise. These are tasks that most people hate doing, so I'm sure the thought of offloading those to AI would be pleasing to most. Another data point that indicates worker readiness is the finding that 60% of respondents believe advanced technology, like machine learning, leads to more jobs. This shows a significant attitude change toward machine learning, since just a few years ago, people feared it would take away jobs. The survey also investigated how a virtual assistant could benefit their teams: 57% said it could increase productivity and 51% responded it would bring focus to meetings. Another key theme in the survey was that people were generally OK with the concept of having a virtual co-worker. Surprisingly, only 60% of respondents stated they wanted AI to do the grunt work like note taking. I would think this number would be higher. It's hard to believe the other 40% like doing those tasks. It's not a trust issue either, as 39% of people that indicated they don't trust an AI would still turnover their least favorite task to an AI. The fact is that people aren't good at many of the meeting tasks because they are boring and repetitive -- so let the machines do them instead. The use of a virtual assistant could improve employee morale and retention rates as well. Over half the survey respondents already have human assistants at work and about half of this group said they were very satisfied at work. Of those with no human assistant, only 32% said they were very satisfied. Right now, it's primarily executives that have human assistants, and virtual assistants/bots could democratize assistants, creating more satisfied workers. I'm not saying that a virtual assistant can make curmudgeons like Dave Michels bounce of the walls with joy, but everyone can benefit from not doing the boring/mundane stuff. Cisco investigated the "big brother" nature of virtual assistants and specifically asked survey participants about the scenario of a computer knowing who the person is, greeting them by name, and proactively asking if they would like the meeting started. The response was another indication that the perception of machine learning has undergone a major shift. Less than 10% found it creepy, and the rest thought it was cool, productive, savvy, or awesome. Being the security-focused company it is, Cisco also looked at whether data privacy matters. Not surprisingly, 65% of people indicated that security was a key concern. Further, 42% of the people who said they would not use Google Assistant or Alexa at work cited data privacy and security as the top reasons. These are great home tools, but I would think that most people don't want Amazon being able to look through their documents or meetings. The last thing the survey discovered was that an individual's personality, age, and "Trekkiness" all influence attitudes toward AI. The survey found that 70% of extroverts believed that AI will create more jobs than it kills, whereas 54% of introverts were expecting mass unemployment. Fans of Star Wars and Star Trek were also more optimistic, which I'm sure is because we Trekkies are just genuinely smarter, happier, and better looking. Seventy-eight percent of fans of the two are "super excited" about AI, compared to only 68% of nonfans. In Star Trek, it was common to have an artificial life form like Nomad, M5, or Landru take over, but it was equally likely that Kirk would outsmart the machines, so I guess any fear that is there is safeguarded by human emotion. I've been following AI and machine learning for a while and admit I've been skeptical about people's acceptance in the workplace. Cisco's survey focused on meetings -- an area of obvious pain and discontentment for workers. By bringing the technology into the enterprise in that way, the perception that AI is bad can be turned and then applied elsewhere. Learn more about Team Collaboration at Enterprise Connect 2018, March 12 to 15, in Orlando, Fla. Register now using thecode NOJITTER to save an additional $200 off the Advance Rate or get a free Expo Plus pass.